Mother’s Day is fast approaching—but that doesn’t mean panic stations. Instead, make a gift of our light, bright, and zesty Lemon Drizzle Gin. From gin-infused cakes and Mother’s Day cocktails to celebratory drinks out, here are five festive ways to treat Mum this year. Spring’s arrival is just days away, and Mother’s Day isn’t far behind. With warmer weather, brighter days, and seasonal festivity in mind, we think our Lemon Drizzle Gin is the perfect way to mark both occasions. Perfumed with three zesty additions—vapour-infused lemons, sun-dried lemon peels, and handpicked lemon verbena—this gin is a crowd-pleasing treat that works as well in a cocktail as it does alongside a slice of cake. If you’re after a simple and sure-to-please Mother’s Day present, here are five creative ways to give the gift of Lemon Drizzle. The first Lemon Drizzle gift idea is the simplest: order a bottle (or pick one up from your local Waitrose); stow it in an elegant, emerald-hued box or wrap it up nicely; and you’re done. This option works particularly well if your Mum has a creative streak and likes to stir up her own gin cocktails at home. 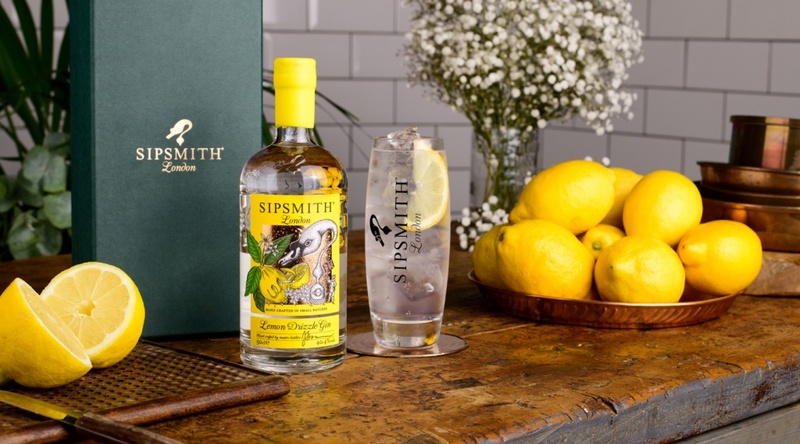 Alternatively, our Sipsmith Tasting Set comes with mini bottles of four of our spirits (including Lemon Drizzle Gin), plus two pretty tasting glasses: why not pair a degustation with your Mother’s Day brunch? Mark the occasion with lemon drizzle cake—and gin to go with. 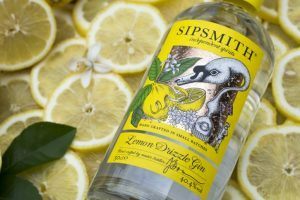 When we first dreamed up Lemon Drizzle Gin for our Sipping Society, we were inspired by the citrus gins of the 1950s and 60s, as well as Mary Berry’s very best lemon drizzle cake. It’s only fitting, then, that this deliciously citrusy gin pairs perfectly with cake—and can even add a ginny touch to the icing. But don’t take our word for it—Great British Bake Off winner Frances Quinn created a simple and lemon drizzle cake recipe for us, which you can find here (plus a bonus recipe for a Lemon Drizzle Flip, should you require a cocktail pairing). For a cosy and convivial Mother’s Day, a trip to the pub is one simple way to celebrate, whether you plan to swing by for a ginny tipple or settle in for a Sunday roast. That’s particularly true this year: we’re marking the day by teaming up with select Fuller’s pubs on a free, Lemon Drizzle-themed present. 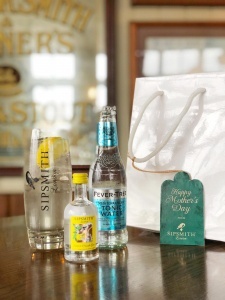 Mums who stop by can pick up a gift bag featuring a mini bottle of Lemon Drizzle Gin and Fever-Tree’s Mediterranean Tonic. Making a Lemon Drizzle G&T at home just got even simpler. 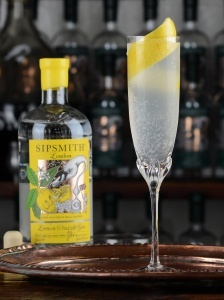 The Lemon Drizzle 75 is the perfect Mother's Day cocktail, given its festive pairing of gin and Prosecco. Planning to put your bartending skills to good use this year? Opt to make Mum a festive and sparkling Lemon Drizzle 75. A riff on the classic French 75, this citrusy serve perfectly pairs gin and Prosecco, and features Lemon Drizzle Gin in place of the traditional London Dry. The result is an exceptional Mother’s Day cocktail (though it’s delicious enough that it may become a regular part of your repertoire). To truly make an occasion of it, why not take Mum out for a celebratory tipple or two? You can enjoy our Lemon Drizzle Gin in tempting cocktail bas across the country. Some of our favourite spots include The Corinthian Club in Glasgow, the Epicurean in Edinburgh, and Opium in London, all of which put Lemon Drizzle to creative use (and have ambiance to spare). To find out more out more about our Lemon Drizzle gin , click here.